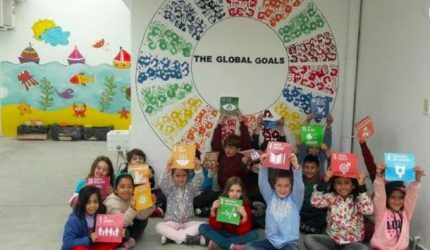 The World´s Largest Lesson with a Seven Steps Plan to introduce the Global Goals to your classroom. 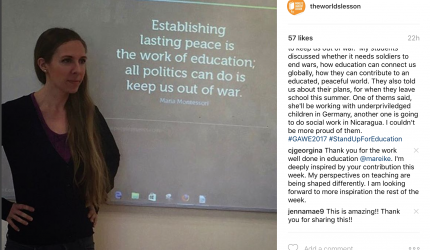 Thank you, Mareike for sharing your experience as a UNESCO Delegate For Education . You continue to inspire others to #StandUpForEducation and to become engaged global citizens that actively contribute to positive community change. 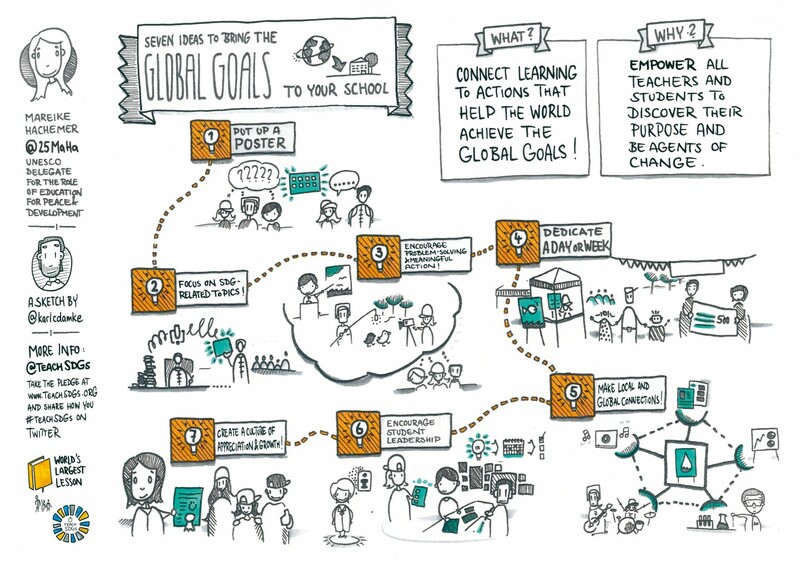 “Today is the last day of GAWE2017, so I’ll leave you with final thoughts of how to introduce the Global Goals to your school. Feel free to share and discuss them! 1. PUT UP A POSTER of the Global Goals in your classrooms and school corridors. Inform your students and fellow teachers and discuss the goals. 2. 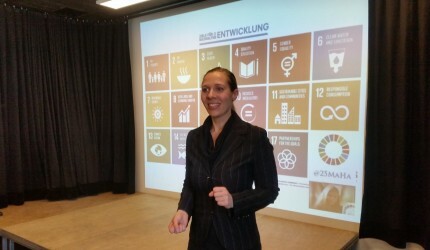 FOCUS ON SDG-RELATED TOPICS in your classes. Research poverty, climate change and peace. Work on suitable material and get inspiration from The World’s Largest Lesson. Let school book publishing houses know there is a need for more SDG-related material. 3. ENCOURAGE PROBLEM-SOLVING AND MEANINGFUL ACTION! Add a new focus to your teaching units: ACTION! What can be done? And how can we do it? Your students will experience self-efficacy! 4. DEDICATE A DAY OR WEEK to the Global Goals: Are you looking for a theme for the school fair? Or planning a Week of Project-Based Learning? The Global Goals are an inspiring theme and you can get your whole school on board. 5. MAKE LOCAL AND GLOBAL CONNECTIONS! Connect subjects! Research the chemistry and construction of water filters, develop an action plan, write a proposal for funding, create a convincing video: all subjects contribute. Also, connect with experts for advice! And reach out to students in other countries via videoconferencing. Your students will love to be connected and will understand how collaboration works. 6. ENCOURAGE STUDENT LEADERSHIP! Let your students be in charge. Help them find the support they need. Be brave! Your students will be the experts, you will be their assistant.